Lucknow: The truce in faction-ridden ruling Samajwadi Party today appeared to be short-lived with state party chief Shivpal Yadav expelling seven party functionaries, including three lawmakers, all considered close to Chief Minister Akhilesh Yadav. Sunil Singh Sajan, Anand Bhadauria and Sanjay Lathar - all MLCs - were shown the door for making "derogatory remarks" against party chief Mulayam Singh Yadav, indulging in anti-party activities and indiscipline, according to a party statement. 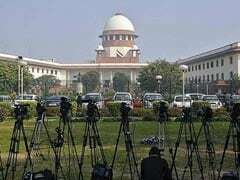 Besides the three legislators, Mohd Ebad, state chief of Samajwadi Party youth brigade, Brijesh Yadav, state president of SP Yuvjan Sabha, Gaurav Dubey, national president of SP youth brigade and Digvijay Singh Dev, state chief of chatra sabha, were also dismissed from the party on similar grounds. After assuming charge as Samajwadi Party Uttar Pradesh unit president, Shivpal Yadav yesterday expelled a close relative of senior party leader Ram Gopal Yadav and another leader for their alleged involvement in land grabbing. Shivpal expelled party MLC Arvind Pratap Yadav, nephew of Ram Gopal Yadav and former village head in Etawah Akhilesh Kumar Yadav for their alleged involvement in land grabbing and other such activities, a move that could once again fuel a war in the family. 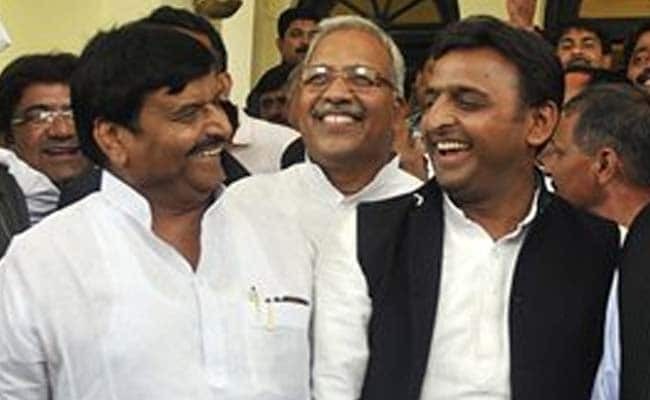 The feud in Uttar Pradesh's first family had ended on Saturday after Akhilesh restored all but one portfolios of Shivpal and promised to support him as SP's state unit president, a post from which he was himself removed three days back triggering the power tussle with his uncle. Samajwadi Party sources said that Shivpal cracked the whip on Mr Bhadauria and Mr Ebad as they gave statements in favour of Akhilesh during protests over taking away of state party chief post from the chief minister. Mr Bhadauria and Mr Sajan were sacked in December last year on grounds of indiscipline but were taken back in the party after intervention of Akhilesh. That time too the Yadav family went through strains as factionalism came to the fore during the Legislative Council polls.